Holds 4 bicycles. Fits Class III, 2" square receiver. 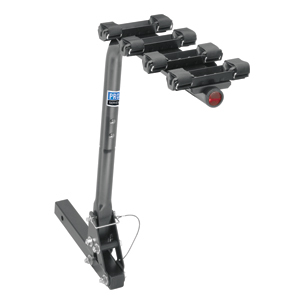 Tilt function allows easy trunk access and unloading of bikes. Velcro securing straps permit quick and easy bike loading and removal. Soft rubber cradles hold bikes securely while traveling.